3) The degummed oil firstly enters into the heater to be heated to the appropriate temperature (110°C), and then goes to the bleaching earth mixing tank. decolored oil contacting with the air and influencing its peroxide value and color reversion. the impurity, phospholipid which will enter into soap stock. The oil can be refined further. 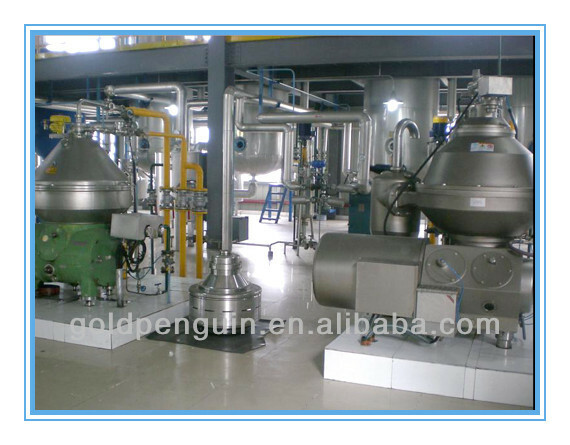 breathed into bleaching pot, after stirring,filtrated by filter and change the color of the oil. low laboring tense, keeps environment well, keeps oil residence in deposable bleaching earth in low level. cluster in a intense area. to different oils and different requirements for products. equipment with which the you can prepress the raw material and get the oil in the cake.